Access to Steirereck is permitted by car for drop off and collection. 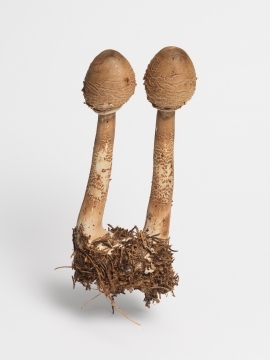 The world of mushrooms is mysterious and far from thoroughly charted, and only few of these wild things let themselves be tamed and cultivated by humans. 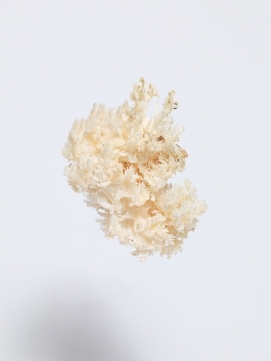 The Coral Tooth Fungus is a relative of the Lion´s Mane Mushroom and ranks among the gourmet edible mushrooms. It is very rarely found in wetlands or nature reserves. The coral-like fungus can reach a size of up to 40 cm and is protected in Austria. 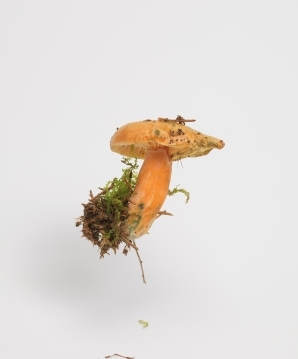 Cultivation of the fungus can contribute to biodiversity and its reestablishment. In addition, it is also a valued medicinal mushroom and is used in traditional Chinese medicine (TCM). 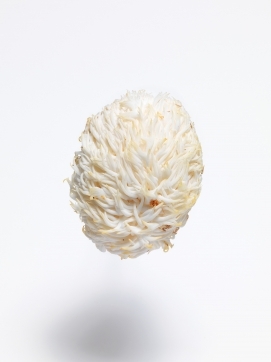 Its white coral-like fruit bodies make it a fascinating cultivated mushroom. The fungus is native to Europe, North America and Asia. 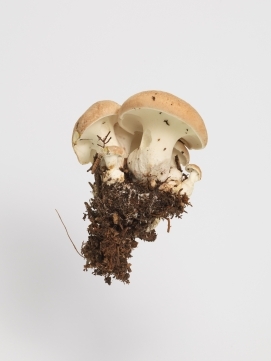 This excellent firm fleshy edible mushroom is one of the most colourless edible mushrooms and belongs to the genus of the rough-legged boletus. 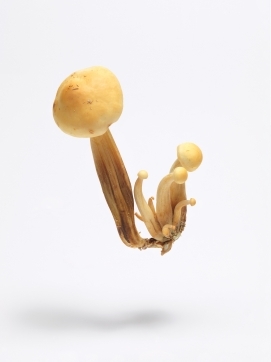 Even very young mushrooms have a rough, scaly stem which often turns blue-green at the base. The tubular lining does not swell out from under the skin like birch fungus. The whitish flesh blacks when heated. From June to October, they usually grow on sandy, acidic soils as a companion to birch trees. 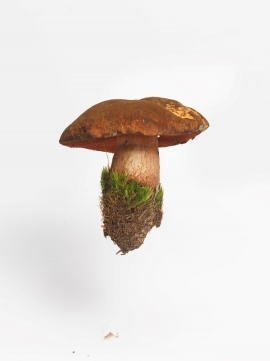 It belongs to the genus of the rough-legged boletus in which one differentiates meanwhile 40 types and in which there are no inedible and/or poisonous types. Birch mushrooms have a long stem with blackish scales in relation to their hat size. The whitish-cream-coloured tube lining has grown up in a padded form, especially in older fruit bodies. From June to October it yields fruit under birch trees on forest edges, wetlands and parks. 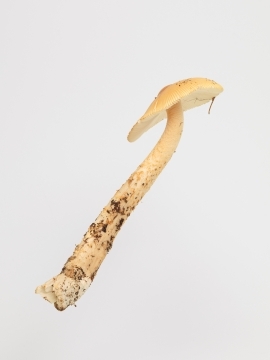 This rather rare pale Cantharellus species likes to fruit in mixed forests on calcareous soils. Its taste is peppery, sharp-aromatic and has a high vitamin and mineral content. 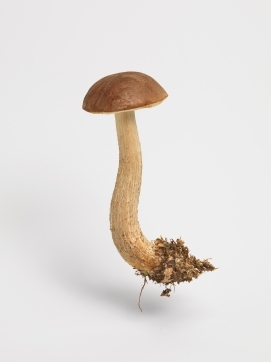 It is considered a vital & medicinal mushroom in traditional Chinese & Japanese medicine. 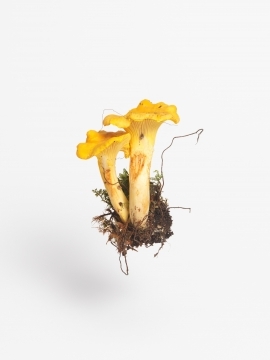 By the way, there are about 18 different species of chanterelles. This heat-loving decomposer often fruits in parks, meadows and embankments from early summer to autumn. 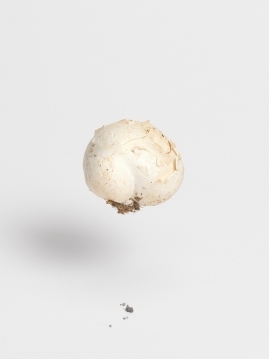 The puffballs are among the smallest and can only be determined reliably in old age. A mix-up is of no culinary importance. Toxic fungi do not exist if the snow-white inner layer is observed without lamellae. The colourfulness of his hat skin does not always make his destiny easy. Because of its partly imposing size (20 cm) and its thick-skinned hat skin it is also called elephant ubling. This symbiosis fungus likes to fruit from early summer to autumn on calcareous soils in mixed forests. 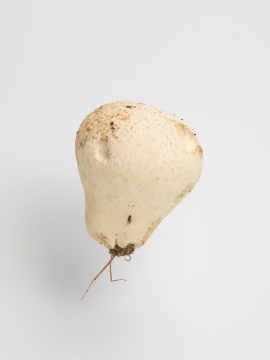 The fruit-bodies possess a whitish ochre-colored hat with white stalk and are fused in tufts. They have a mushroom-spicy marzipan-like aroma and a slightly sweetish aniseed flavour. They are cultivated on dead or living hardwood, mainly on beech, sometimes also in the dark. This roughnut is distinguished from the birch red cap by its reddish to reddish-green scales on a white stem ground. The whitish flesh is on average first reddening then blackening. 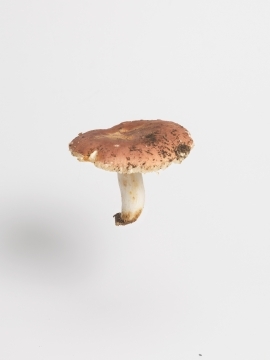 Like all red caps, it is an excellent edible mushroom and produces fruit from August to October in deciduous forests, mainly under oak trees. Probably the best-known red cap has a brick-coloured fine felted, mostly shortened hat skin. The whitish stem often turns blue-green when touched and has reddish to red-grey scales. It fertilises individually or in small groups from June to November under trembling poplars (aspens) on forest edges and parks. 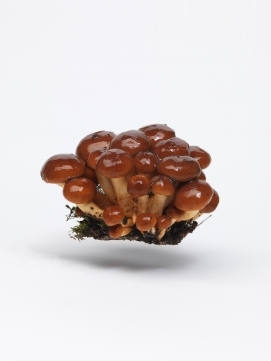 The delicate representative of the pholiota family is a small agaric with a strong aroma. Not only does it smell pleasantly spicy, its powerful, nutty taste brings in the forest. It prefers to grow in deciduous forests, and although it looks like a bush it grows from a single stalk on stumps and branches of trees. The harvesting season kicks off in spring and lasts until late autumn. The mildly aromatic to slightly bitter astringent type of fungus belonging to the milkling genus differs from all other milklings by its orange-yellow to wine red milk which emerges upon injury and is a sure sign of its edibility. This symbiosis fungus is often abundant in young spruce cultures from August to December. With high irritant consumption, similar to beetroot, the urine turns reddish. This mildly aromatic delicacy fruits here from July to November in mixed & coniferous forests, often on acidic soils. Young specimens often grow together with the stem deep in the ground, so that only the light or brassy hat protrudes. 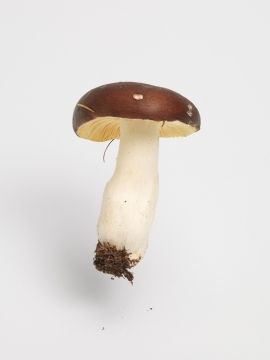 Its white hat rim and the reddish-brown color zone under the hat distinguish it from the other porcini mushroom species. Mature specimens have yellow to olive-green tube mouths as well as a stretched handle with a brownish net pattern. 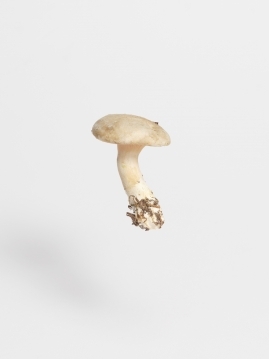 One of the first edible mushrooms, usually already starting from May, which is also known as Schusterpilz because of its finely felt hat skin. It often fruits in mixed forests, on acidic soils and is hardly infested by maggots. Its compact flesh is very sensitive and turns immediately blue under pressure. 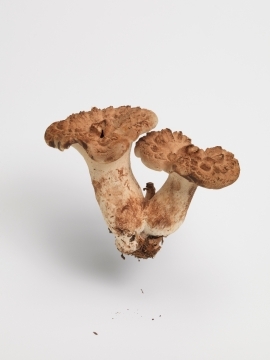 It is one of the best edible mushrooms and is just as good or even better than the coveted porcini mushroom! Its white, firm meat has a fine nutty excellent taste. The hat colours are extremely variable, mostly violet, greenish to pink and always mixed in some kind of multi-coloured. With age, the colours fade and the hat often appears rust-stained. Its special characteristic are the white, soft, flexible lamellas. This distinguishes it from the other Taubling types because there individual lamellas splinter immediately. It likes to fruit from June to October in deciduous and mixed forests on limestone soils. This species is also characterized by its size of over 30 cm hat diameter. However, only young specimens have an anise to almond-like odor. 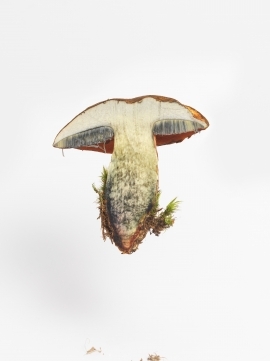 This subsequent decomposer quite frequently produces fruit on meadows, pastures and forest edges from early summer to autumn. 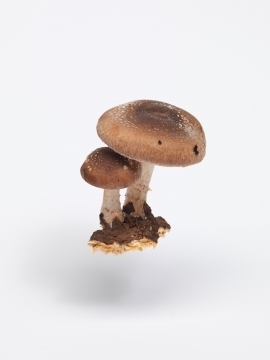 It is one of the best edible mushrooms and one of the few raw edible mushrooms. This symbiosis mushroom fruits in deciduous forests and mixed forests from early summer into autumn. 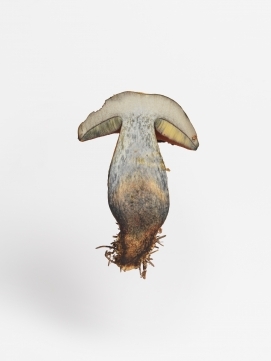 It has a greenish, typically fieldy rupturing hat skin and a very compact fleshy consistency for russula. The Shingled Hedgehog, also known as deer mushroom, has a firm flesh and a pleasant smell. It likes to fruit from late summer to autumn in high altitudes under pine trees. 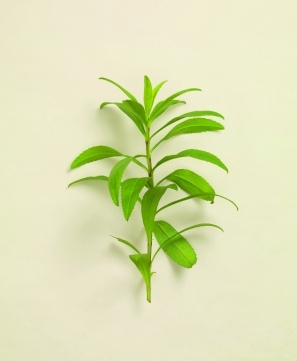 An aromatic spice powder can be produced from young specimens. 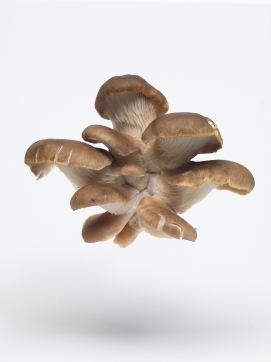 The up to 20 cm large round fruiting bodies should only be used if the meat is still white and firm. The white-spongy meat has a fine bitter almond aroma after frying and is tenderly melting. This subsequent decomposer mainly fruits on meadows, pastures and orchards in mountainous areas from early summer to autumn. The Lion´s mane mushroom is a fungus that is very widespread in Europe and Asia, but quite rare and can be found on dying or dead trunks of various hardwoods, especially hardwoods such as beech and oak. Mostly it bears fruit in autumn, rarely also in spring. 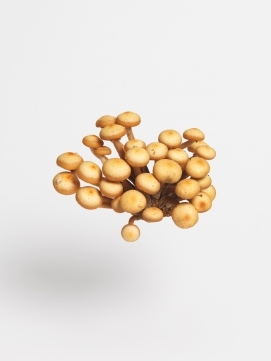 It is one of the most widely cultivated mushrooms in Asia, where it is highly sought after not only for its excellent taste, but also for its diverse fields of application in traditional folk medicine. 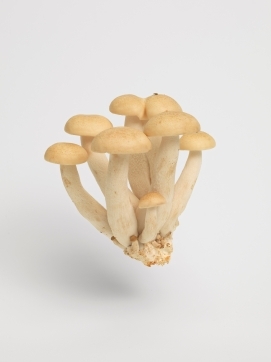 In Europe today it is hardly cultivated and is rarely available as fresh mushroom. Its fruit bodies can weigh over 1 kg. adds flavour to soups, stews and noodle dishes. When it is freshly harvested, a sticky film covers the reddish-brown, shiny cap, but this layer disappears completely during cooking. 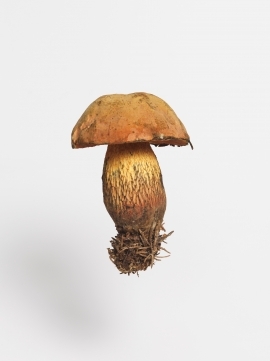 It was regarded as the favourite mushroom of the Roman army leaders and is today one of the best and most expensive edible mushrooms in the world. Its taste is pleasantly nutty and mild. The white onion-like tuber is completely wrapped in velum when young. 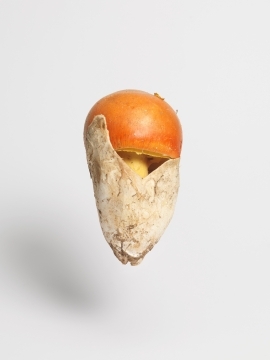 This symbiosis mushroom fruits from May to July in the deciduous forest with oaks, beeches, and chestnuts. Its white flesh, which is clearly yellow under the hat skin, is pleasantly mild. The slats are free, dense and yellow in colour. Imperial mushrooms are also one of the few fungi that can be eaten raw. If mushrooms had a club for beautiful people, the elegantly shaped pale oyster mushroom would be one of the first to be admitted. It is related to the oyster mushroom, but it is firmer and meatier, and has a surprising scent of aniseed. If it hasn’t been harvested before, its cap can grow up to 20 centimetres wide, but the best time to pick it is while it’s still young and tender. This most famous felt earring has a chestnut brown matte hat skin. 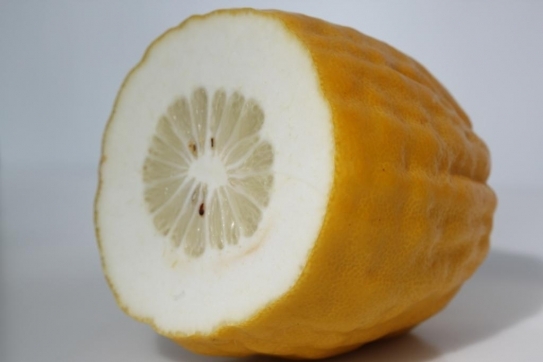 The whitish to yellow flesh blue when sliced slightly. 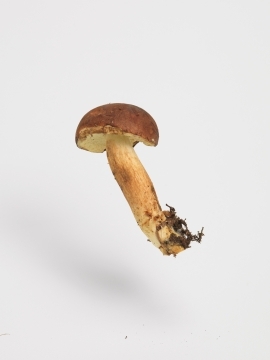 With older mushrooms, the meat turns brown after cutting and should not be eaten. The first whitish tubes turn olive green in age and are slightly blue when pressed. It has a nutty-mushroomy taste and fruits from July to October in mixed and coniferous forests. Its white, rather brittle, non-elastic flesh has a pleasant flour-like smell and taste. The flour cuttings and the toadstool are the best porcini mushroom indicators. From early summer to autumn often in mixed forests on non-acid soils. It can be found from June to November near deciduous trees and in parks. Its flesh is beige-yellow, in case of injury or pressure immediately black-blue discolouring as well as reddish in the base of the stalk. It has a mild, fungal taste, but in 1-5 % combination with alcohol causes gastrointestinal complaints. Intense black-blue discoloration immediately after cutting. 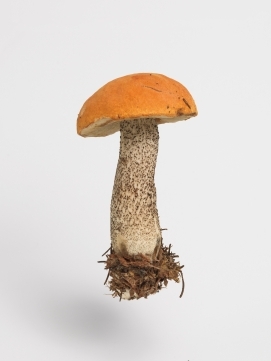 Compared to the flaky-stemmed Lurid Bolete, it has a reddish flesh under the tube lining which is visible as a fine line between the tube layer and the flesh of the hat. 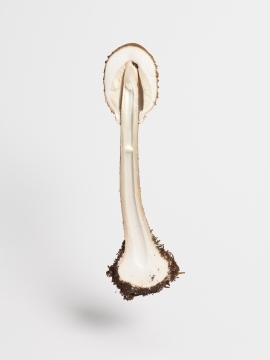 This unfortunately slightly brittle, good tasting edible mushroom belongs to the genus of the vaginal stripes. It likes to fruit from May to October on moist, acidic soils in mixed forests and must be well heated like all vaginal stripes because it is slightly poisonous raw. In addition, it should only be collected by connoisseurs because there is a risk of confusion with mushrooms. Its name is an outdated name for "parasol" (borrowed from French parasol in the 18th century "keep off the sun" from Italian para il sole). 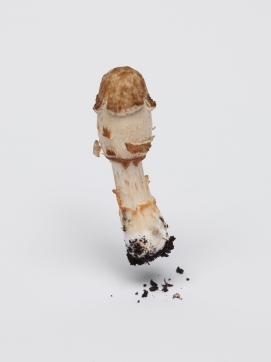 As a very young mushroom, it looks like a timpani mallet, at maturity it is reminiscent of an open parasol. The parasol is an excellent edible mushroom whose hat is ideal for roasting (breaded or unbreaded). The Parasol Mushroom is a fungus common to temperate regions of Europe and named for its narrow stalk and wide, open cap. 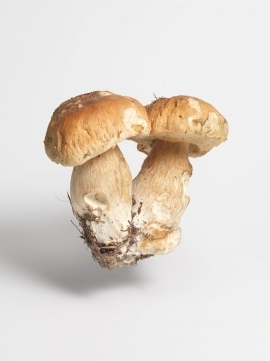 They are a sought after mushroom both for their size –which enables them to be easily stuffed or gratinated- and their flavour –which is clean and slightly nutty. The stalks, which are to woody to be eaten, can be dried, ground and used to make a seasoning. Its taste is strong & seductive with hints of musk, nuts & humus. 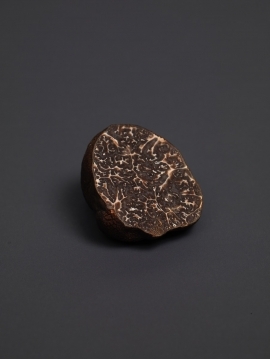 The "Melanosporum" is also commonly called Périgord truffle. But there are also large numbers of them in Spain, Italy and now also in Australia & New Zealand. The warty-black truffle with a reddish-brown shimmer has a brown-violet to black-purple flesh which is interspersed with a dense light-white vein net. It reaches its optimum ripeness between the end of November and March. This typical winter fungus likes to fruit in clusters from October to April, on living and dead hardwood, especially on elms, willows & poplars. His velvety, juicy, bright orange-colored thin hats are insensitive to frost, do not rot and have a sticky, gelatinous hat skin. 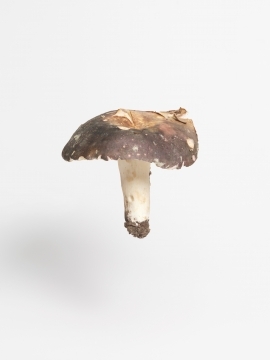 The taste is pleasantly fine but it is recommended to harvest only the mushroom caps because the stems in the lower area are brown to black velvety and very tough. 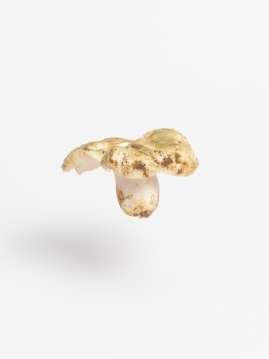 This very fine and mild tasty edible mushroom has a fine-pored whitish-cream-coloured flesh and fruits from July to October in the low to high mountains in the coniferous forest under spruces & pines and likes to appear together with the Albatrellus confluens. It is particularly suitable for marinating and, unlike roll-porling, it does not become bitter as it ages. The Shaggy Ink Cap possesses a very striking appearance because it resembles a large bell. 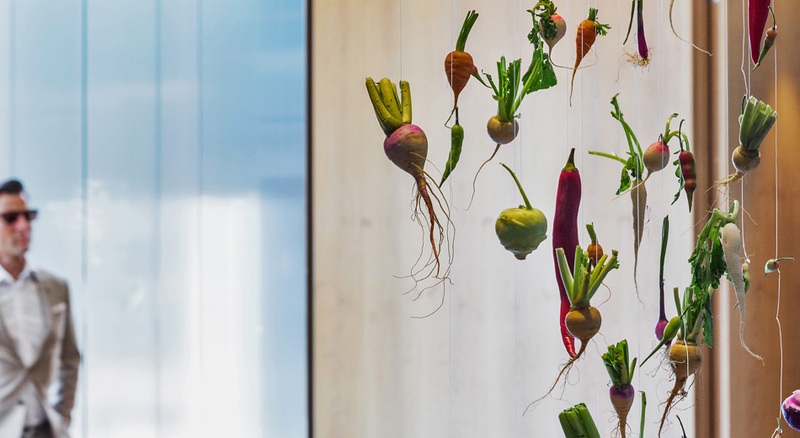 The very thin, freely hanging, closely spaced lamb leaves are not fused to the stalk and hang freely. They change their colour from white to pink to black with increasing age, several times. It prefers grassy locations and is therefore, from spring to autumn, often found in very large groups along forest and roadsides. The young Shaggy Ink Cap has a very mild and unmistakable aroma. It is not suitable for storage, as the meat will soon begin to melt and can no longer be used. One of the first tubes of the year. This great edible mushroom is not only highly appreciated by people. Often in mixed forests on calcareous soils, it produces fruit from May to September. 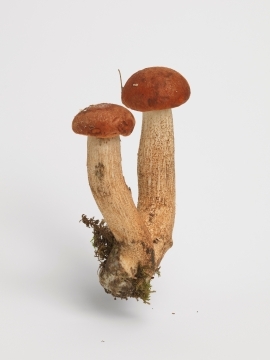 It differs from the spruce ceps by its matte, sometimes finely scaly torn hat skin as well as its thinner stem with clear net pattern. 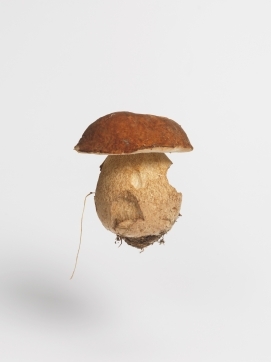 Its meat is pleasantly mushroomy, nutty and it is one of the few mushrooms which are also edible raw. Because of its whitish, very firm, mild meat, it is one of the tastiest pigeons. Its hat skin varies from flesh-coloured to brownish, does not quite reach the edge of the hat and can be removed by about half. 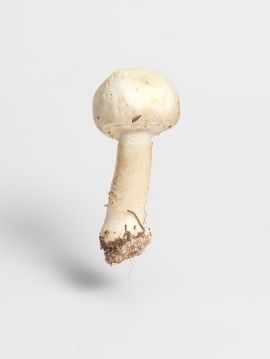 Its very dense, whitish-ceme-colored lamellae are very brittle, as with almost all species of russulas. 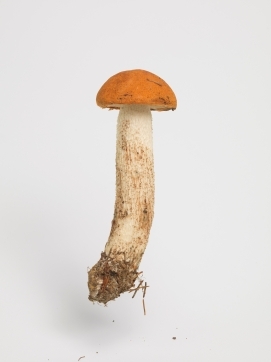 This mycorrhiza fungus likes to fruit from June to October in deciduous and mixed forests. too. By the way, in Italy the mushroom is called pioppino, in Japan it goes by the name of yanagi-matsutake. 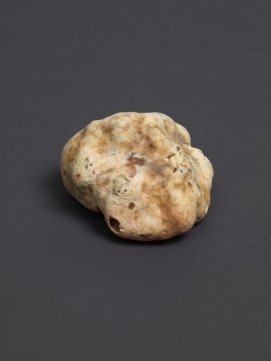 The moon-yellow to golden-yellow truffle with a fine, almost smooth outer skin has an intense natural unique aroma with garlic & cheese components. The mostly hazelnut-coloured flesh, the more open with pink spots, is streaked with a dense light-white marbling. It bears fruit from September to December, mainly in Italy and the Balkans. 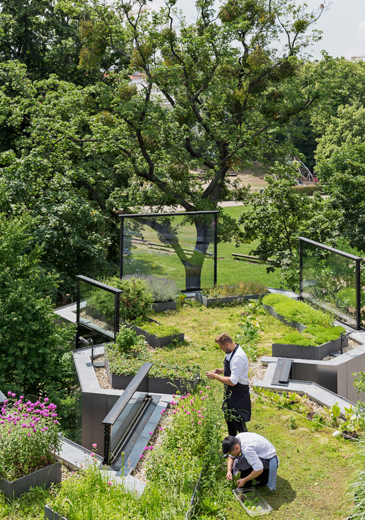 In the middle of Stadtpark, well hidden on the roof of Steirereck, grow more than 120 of the most unusual culinary herbs from all over the world. This, mostly forgotten, herb has an uniquely sweet and soapy aroma with hints of coconut and passionfruit. Originally from the mediterranean region, it was favoured by the Romans who used it equally for seasoning and as a medicinal herb. It's aroma is so intense that only a few small leaves are enough to flavour a litre of milk. From the Steirereck garden. 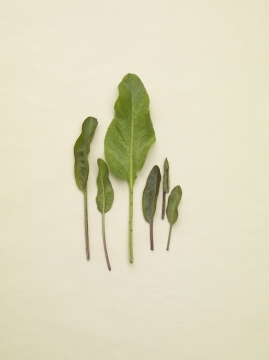 A real mountain herb is the small, crispy-leaved Alpine sorrel. It grows on the humid but barren soils of the Alps, preferably at altitudes of 1,700 metres and above. One of its peculiarities are the fruit stalks that change from green to pink and finally to red over time. 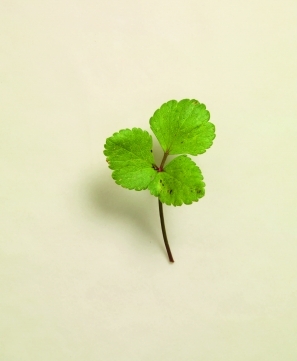 Its fine, pleasant acidity is compatible with many dishes, but not, like the heart-shaped leaves and stems, with heat. That's why the Alpine sorrel is served fresh and raw on the plate. 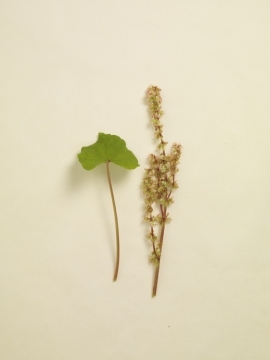 An almost unknown herb from the knotweed family that is waiting to be discovered. A member of the verbena family this South American herb has fleshy, aniseed scented leaves which are often favoured for making tea. 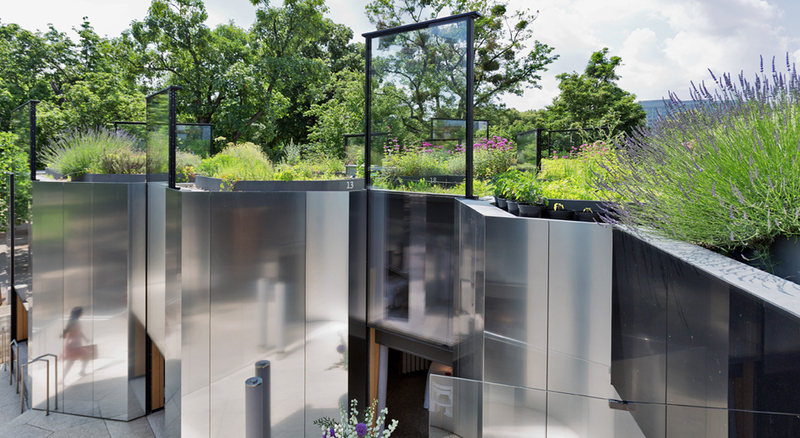 From the Steirereck Garden. A hint of a flavour - this impression is conveyed by the finely and gracefully grown Arabic mountain herb. But despite its filigree appearance, this small shrub from the eastern Mediterranean region has a surprisingly strong aroma. It is reminiscent of oregano and marjoram with hints of delicate menthol mint with a depth of taste that needs to be explored with pleasure. In Arab-Jewish cuisine, the herb is used especially for seasoning lamb. 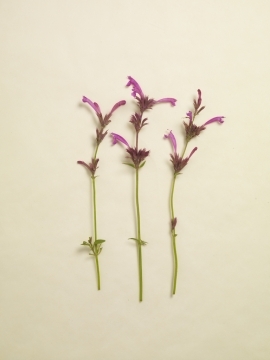 The herb blossoms richly and smells of mint. 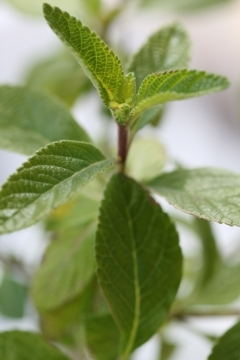 The woody tub plant from South America provides a fine aroma of mint, which is also retained intensively in the dried leaves and is therefore well suited to give tea blends a special touch. The taste is sweet, reminiscent of spearmint and, unlike lemon verbena, which is widely related to the plant, has no lemony note. Another advantage of the dainty shrub: it provides long, hanging branches, blooms abundantly with white flowering stars and looks extremely distinctive. If flowers taste of a combination of mint, honey and apple, spiced with a hint of spiciness, then it can only be the large beautiful pink-purple clusters of flowers of the Chinese spice bush. The robust plant grows up to 90 centimetres , is hardy and could be used as a garden beauty by itself because of its appearance. 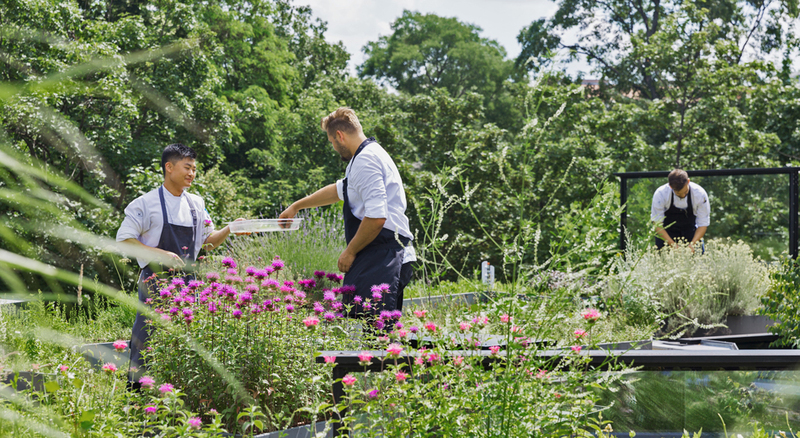 Also the leaves provide a vinous aroma, scented with a combination of caraway and mint. 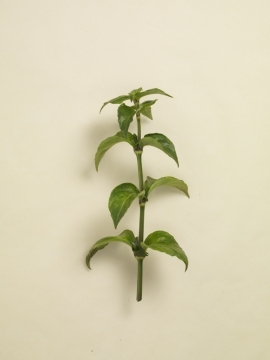 In short: the plant is highly attractive and refines both sweet and salty-spicy dishes. Also known as Pepperweed or Dittany this member of the mustard and cabbage family can grow up to 2 metres in height. The long, slender leaves have a peppery, slightly bitter taste reminiscent of horsradish. Indeed the roots can be used similarly to horseradish. 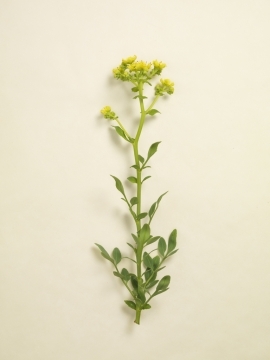 Pepperwort grows wild throughout Europe, Asia and northern America although its use as a herb is all but forgotten. 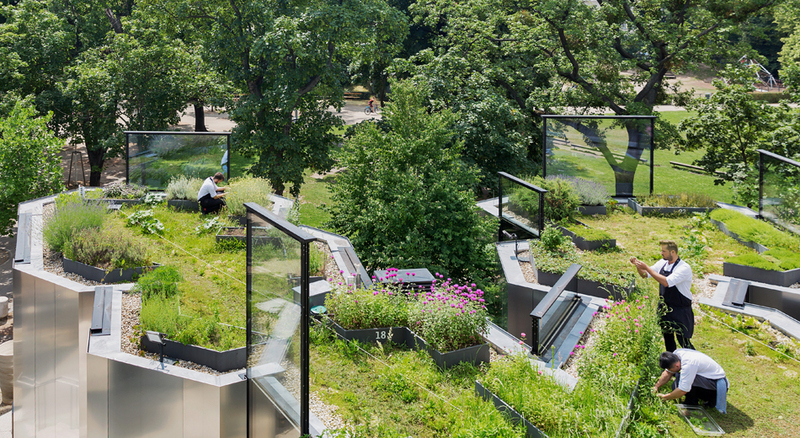 From the Steirereck garden. is strongly reminiscent of bergamot and therefore Earl Grey tea. 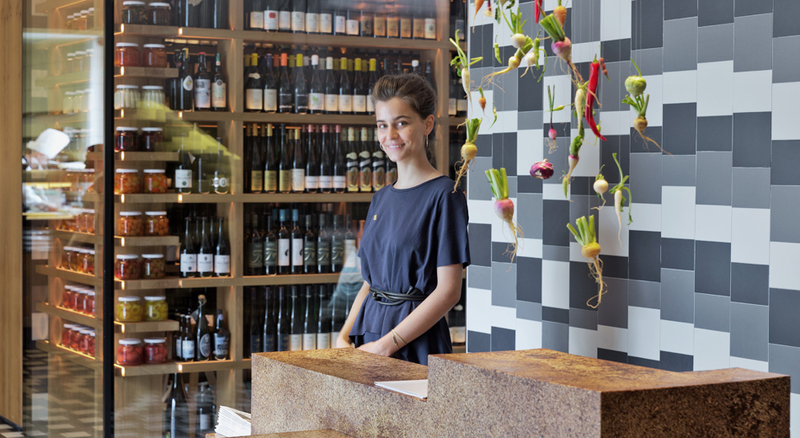 In the Steirereck the tall and hardy plant serves as a base seasoning for marinades, vinegar and syrups. Originally from Guatemala this herb was used by the Aztecs for religious rites. It maintained its popularity in Central America for making tea and is used commonly in southern parts of the USA for cooking. The aroma is reminiscent of woodruff and aniseed, although the strongest comparison is with tarragon. The leaves are thicker and more fleshy than tarragon however and the flavour more intense. Gathered from the Steirereck garden. Succulent clover from the Andes region with thick, juicy stems and leaves. 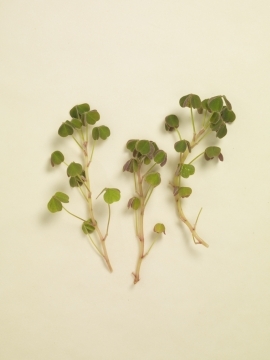 The delicate stems and leaves have a pleasant, fruity oxalis taste reminiscent of Verjus & green apples. The small red-skinned, starchy, non-acidic underground tubers are especially appreciated in Peru. Its native relative, Wood Sorrel (Oxalis acetosella), has similar leaves, but not the decorative red stems and not the intensely sour taste. Originally from Papau New Guinea this hardy, bushy plant produces an abundance of fleshy, shiny, dark green leaves with an intense mushroom flavour. 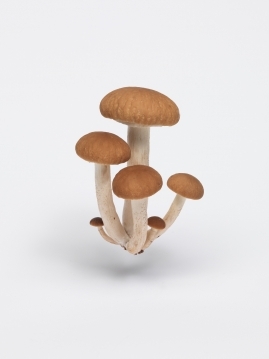 They can be used raw in salads or can be added to cooked dishes to provide a delicate mushroom taste. From the Steirereck garden. Somewhere between celery and parsley is the taste of Scottish lovage. 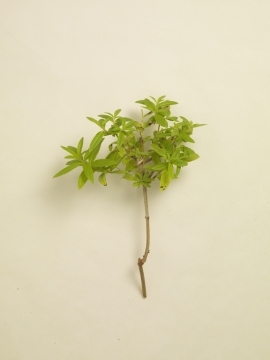 In any case, the plant is incomparably finer than the common love stick. Originally from the coastal areas of Scotland, it is also good to breed in this country. The leaves and stems are crisp, firm, almost juicy and very tender when young. The Scottish lovage flowers in pretty, pink umbels and provides aromatic seeds that are used in the kitchen in late summer. It spices vegetables and dishes with light fish. 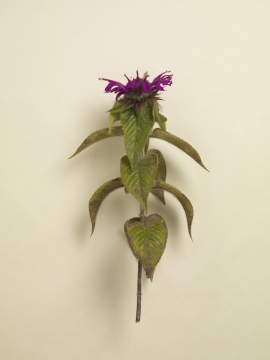 A wildflower in the mint family wild bergamot or bee balm is widespread and abundant as a native plant in much of North America. It has summer-blooming, nectar rich edible white flowers and has been used as a medicinal plant by the Native Americans for centuries. 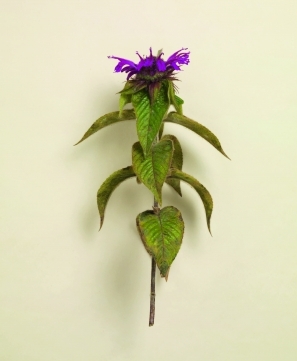 Bee balm is still used today as the natural source of the antiseptic thymol, the primary active ingredient in modern commercial mouthwash formulas. Fresh, tart, limey, unmistakable - this is how this tall and extremely attractive labiate from Central America smells and tastes. In the kitchen, not only the intensively magenta-coloured flowers are used, but also the young leaves. 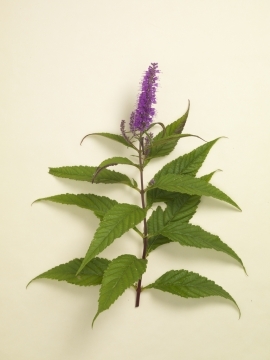 As the Agastache Mexicana is a growing personality, it provides an untiring supply for the kitchen for many months. 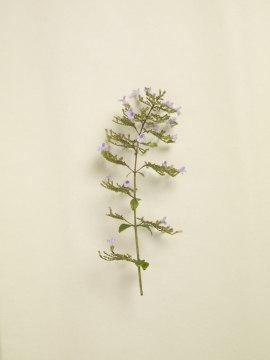 It can also be used as a dried tea plant and actually keeps its aroma for more than a year. 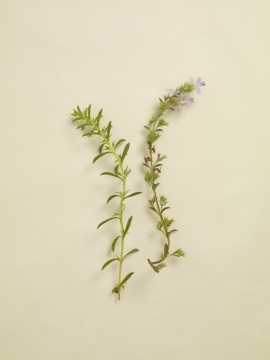 A variety of winter savory this hardy perennial herb has a lemon aroma close to that of lemon thyme. However, the typical spicy note of savory means it is also occasionaly used in place of pepper as a seasoning. At the orangery in Palais Schönbrunn grows the biggest collection of citrus places all over Europe. 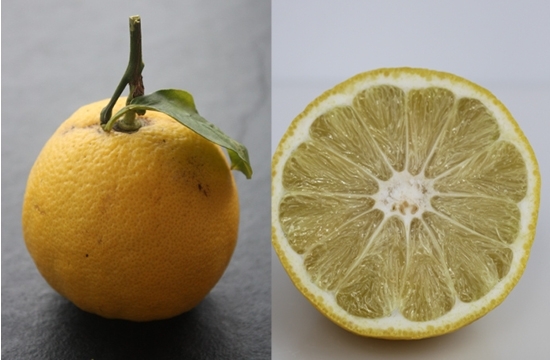 Bergamot is a citrus fruit the size of a small orange with a yellow skin and flesh. Its zest is highly aromatic and its essential oils are used, most famously, to flavour Earl Grey tea but are also present in more than a third of all eau de toilette and cologne. The flesh, which is sour but not especially bitter, is less commonly used but is the main ingredient in a Sicilian marmalade produced in Syracuse. 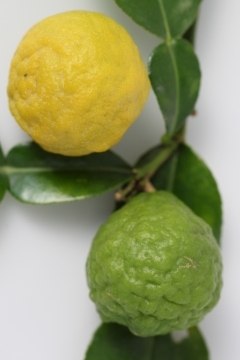 Indeed almost 80% of bergamot is produced in the coastal Calabria region of southern Italy. 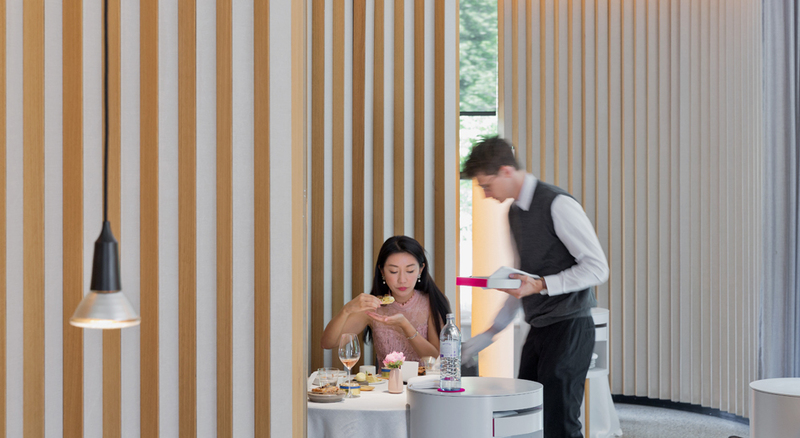 As with many of our rare citrus fruits we are fortunate enough to receive our bergamot from the orangery at the palace Schönbrunn in Vienna. A widely grown Italian bitter orange variety it has long, slim leaves and the fruits turn a deep orange when ripe. 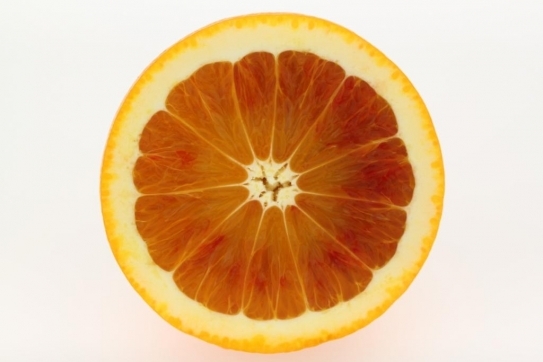 The flesh is dry and typical of the bitter orange. The bitter orange blossom gives off a captivating aroma that is highly prized in the Steirereck kitchen for perfuming and aromatization of our dishes. From the Orangerie at Palais Schönbrunn. 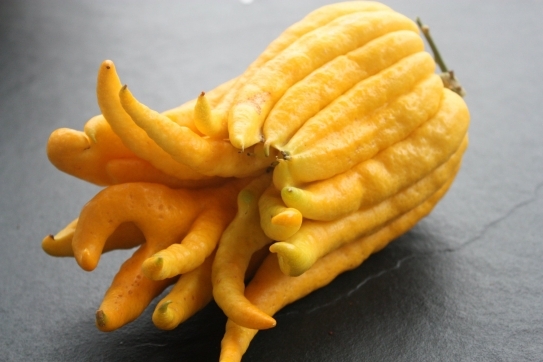 The Buddha's hand lemon is a fragrant citron variety originating in eastern Asia whose fruit is divided into finger like segments. This unique form means there is little to no flesh present in the fruit but an unusually large amount of zest. This, combined with the fact that the white pith is not bitter as in other citrus fruits, makes the Buddha's hand perfect for candying as practically the whole fruit can be used. Our examples are from the Orangery at the Schönbrunn Palace in Vienna. 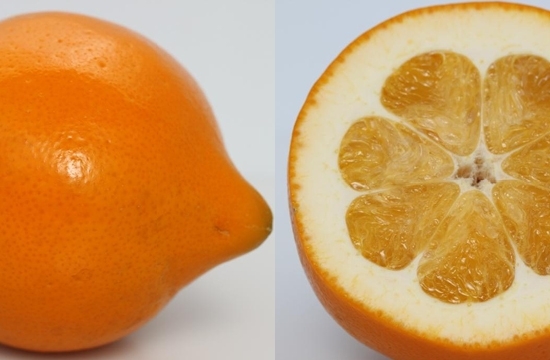 This citrus fruit native to the Philippines is most commonly known in its unripe, green state but when left to ripen turns a tangerine orange colour. The rind is relatively thin and sweet tasting while the fruit is sour. It is popular as a condiment in Filipino cooking and is also used in drinks and marmelades. The fruit also has medicinal uses being a natural anti-inflammatory. 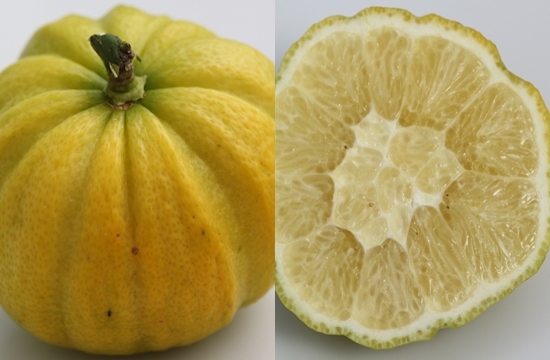 This old variety was already popular in the gardens of the Medici in the 17th Century and is probably a hybrid of bitter orange and citron. The fruit has an unusual appearance being covered in irregular bumps and will become orange when fully ripe. 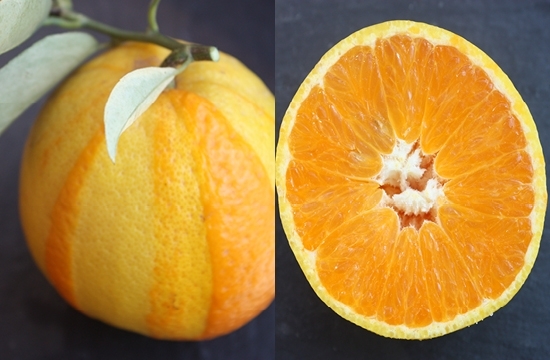 The flesh is seedless, has a light mandarin note and is pleasantly tart, fruity and juicy. The peel is very aromatic and bitter with a floral fragrance. The Clementine is a variety of mandarin orange, which differentiates itself from similar fruits such as the tangerine by virtue of its being seedless. This characteristic, together with its ease of peeling and its sweet, juicy flesh -which contains less acid than an orange-has contributed to its popularity since it was first commercially cultivated at the beginning of the 20th Century. Believed to have originated in Algeria the fruit is found widely in the Mediterranean region and also, more recently, in California. 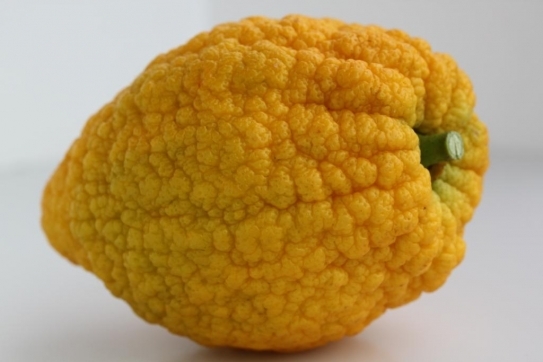 It also bares many similarities to the Canton mandarin indigenous to China. 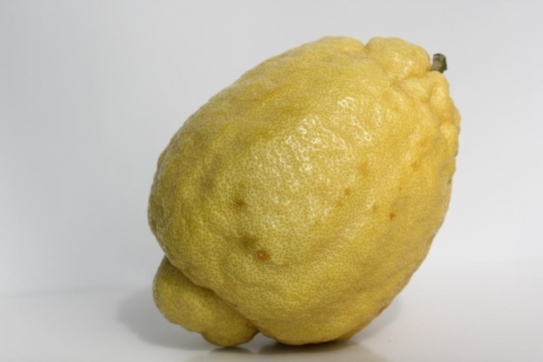 The ‘Limon Canaliculata’ or ‘Furrowed Lemon’ is an old Italian variety first mentioned in eighteenth century Tuscany. It features prominently in a painting by the Medici artist, and still life specialist, Bartholomeo Bimbi. The fruits are a small, measuring up to 7cm or so in length and maybe 5cm in diameter. The skin is a pale yellow colour and has furrows which run the length of the fruit and give the cross-section the appearance of a flower. The fruit itself is aromatic, juicy and relatively sweet. The peel is mildly bitter and very aromatic. Our examples are from the Orangery at the Schönbrunn Palace in Vienna. 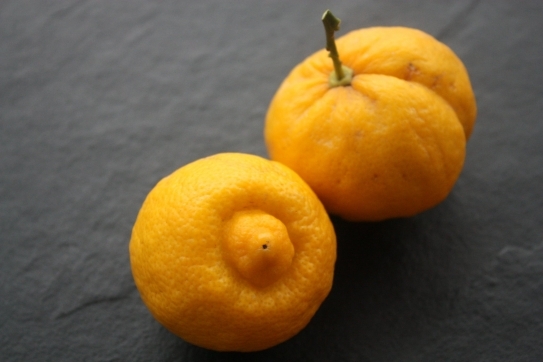 Kumquats or Cumquats are citrus fruits native to South Asia and are first referred to in Chinese literature of the 12th century. They are generally no larger than an olive and have a thin, sweet edible skin and a tart flesh. Their size and sweet zest means they are generally consumed whole when ripe or else used to make marmalades and preserves. One tree, which can reach between two to four metres in height, can bear thousands of fruit from late autumn to spring. Our examples are from the Orangery at the Schönbrunn Palace in Vienna. 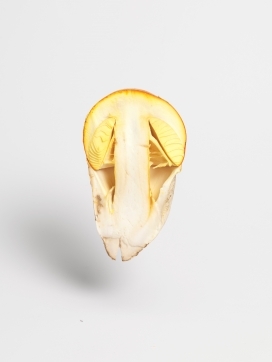 This Lemon variety has a thin, pale orange skin and dark yellow flesh containing many pips. 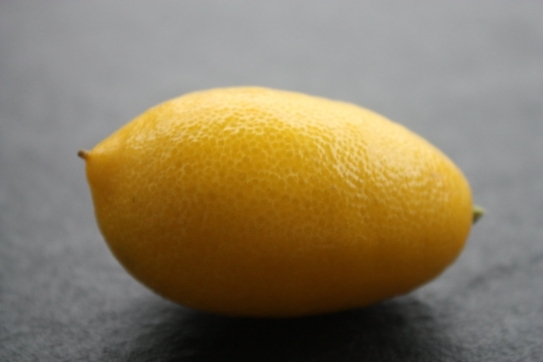 Compared to other lemons ist flavour is considerably less sour and bitter. The Aroma is reminiscent of mandarin. Our examples are from the Orangery at the Schönbrunn Palace in Vienna. 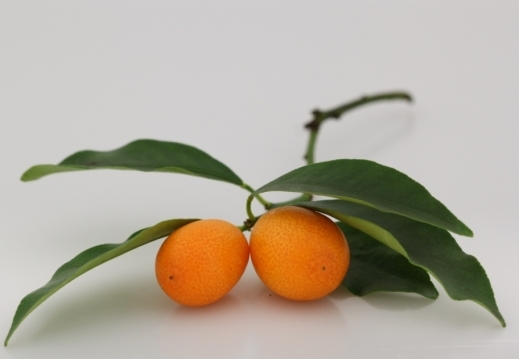 Limequats are, as the name would suggest, a hybrid of the cumquat and the key lime developed by the American botanist Dr. Walter Swingle in the early 20th Century. The fruits are small and the skin is sweet and edible similar to the cumquat whilst the flesh is more acidic and contains pips in keeping with the key lime. Our examples are from the Orangery at the Schönbrunn Palace in Vienna. 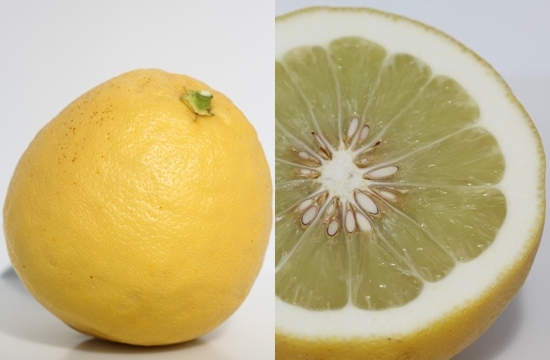 The lipo lemon is an hybrid of grapefruit and lemon, which produces large, pale yellow, slightly elongated fruits. 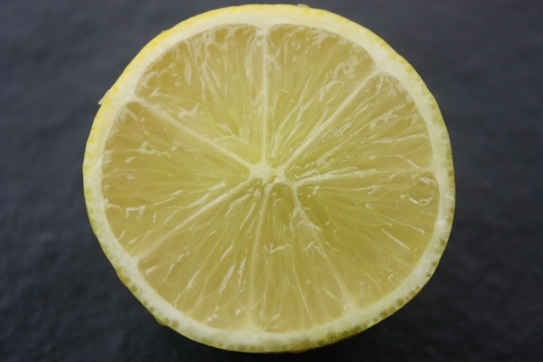 The flesh is very mild with a pleasantly sweet lemonade flavour and Untertones of grapefruit. The thick edible peel Displays similar characteristics to the fruit but still more intense. Native to South-East Asia these small fruit have a bumpy exterior and highly aromatic zest which forms a staple component of much Thai and Lao cuisine. The juice is offen considered too sour to eat but is used as a natural cleanser. The fruit also has powerful insecticidal properties. 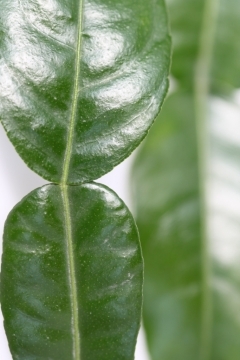 The unique, 'double' leaves contain a very high proportion of citronellal essential oil that give them their characteristic aroma. The peel is very fine, lightly bitter and spicey. The flesh itself is free from pips with an intense floral aroma, sweet-sour flavour and hint of bergamot. 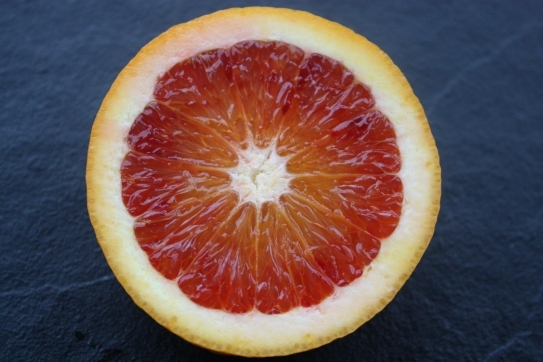 The Moro Orange originated in Sicily in the nineteenth century and is the most colourful of the blood oranges. Its flesh has a sweet flavour with a hint of raspberry and can range from orange with a ruby tint to almost black in colour. Our examples are from the Orangery at the Schönbrunn Palace in Vienna. 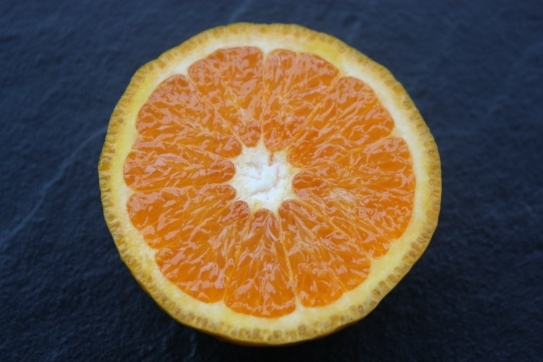 This medium sized orange has a smooth skin and a protrusion at one end. The peel is thick, sweet and aromatic weilst the fruit is relatively bland and dry. When the fruit is candied and dried, however, it takes on another dimension entirely and one can detect floral notes and a hint of coconut. The Striped orange has been known in Europe since the eighteenth century although it remains very rare. Its name derives from its yellow and orange striped skin. 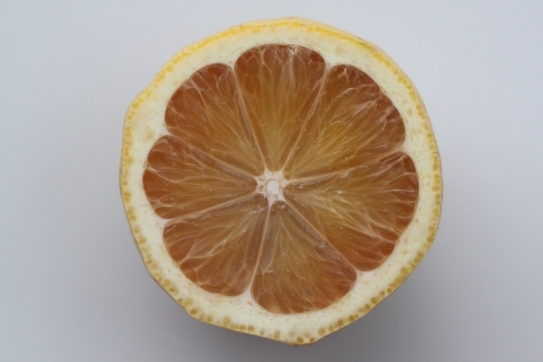 The flesh, when ripe, has a light pink tint and is sweet-sour with a light bitter note. The trees are comparatively small and produce an abundance of intensely perfumed blossom. 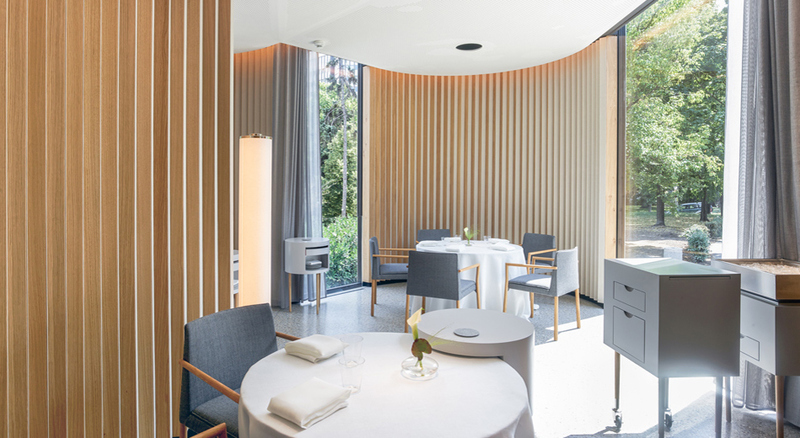 Our examples are sourced from the Orangery at the Schönbrunn Palace in Vienna. The Persian Lime is larger and less aromatic than the Key Lime and has the advantage of being seedless. Its fruit is also markedly less acidic and bitter. The skin turns from a bright green to almost yellow when ripe. Our examples are sourced from the Orangery at the Schönbrunn Palace in Vienna. 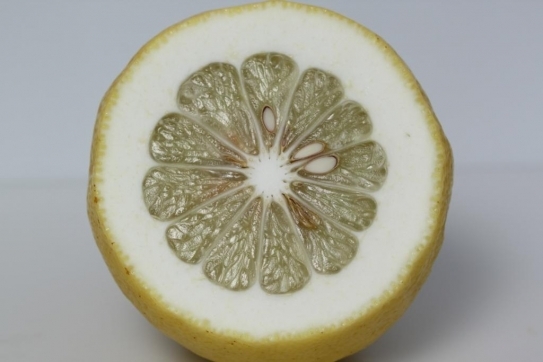 The largest of the citrus fruits this native of South and Southeast Asia is usually pale green to yellow when ripe, with sweet white (or, more rarely, pink or red) flesh and very thick albedo. 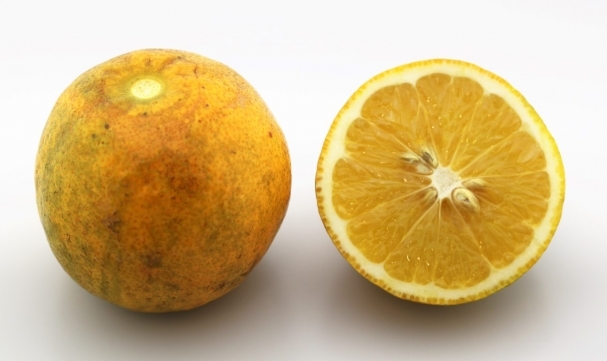 The fruit itself is divided into very large, clearly defined segments which have a crisp, relatively dry texture and a pleasant grapefruit like flavour although without the bitterness. 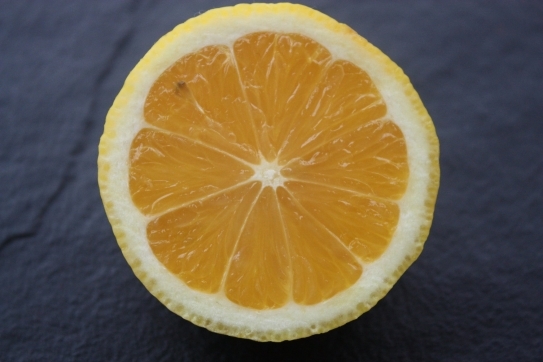 The term Bitter Orange covers a number of similar citrus varieties that share a common highly aromatic zest and bitter taste. Perhaps the most well known is the Seville Orange which is used predominantly for the production of marmalade. Otherwise the fruit is often discarded and the skin used for the extraction of essential oils which go into perfumes, flavourings and are even sold as an appetite suppressant. 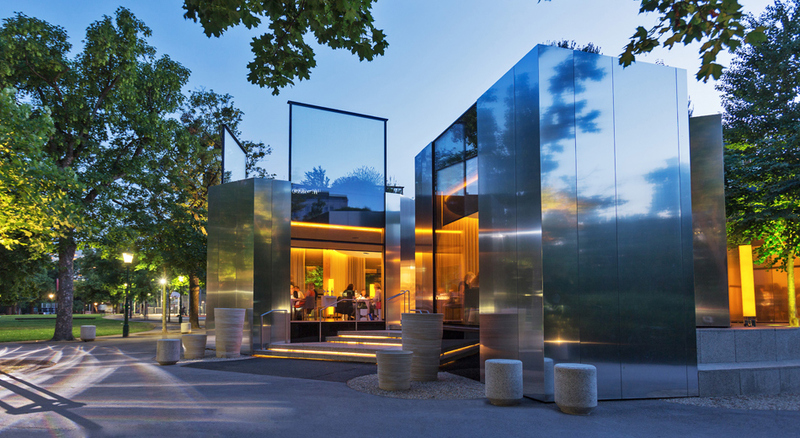 Our examples are sourced from the Orangery at the Schönbrunn Palace in Vienna. The ‘Roman’ or ‘Sweet Lime’ originated in Asia but has been known in Europe since the 17th century when it was cultivated in Italy. It has a pale yellow colour when ripe and a characteristic indented tip. Its zest is rich in essential oils and its flesh is fresh and juicy but despite its name not sweet only less sour than other limes. 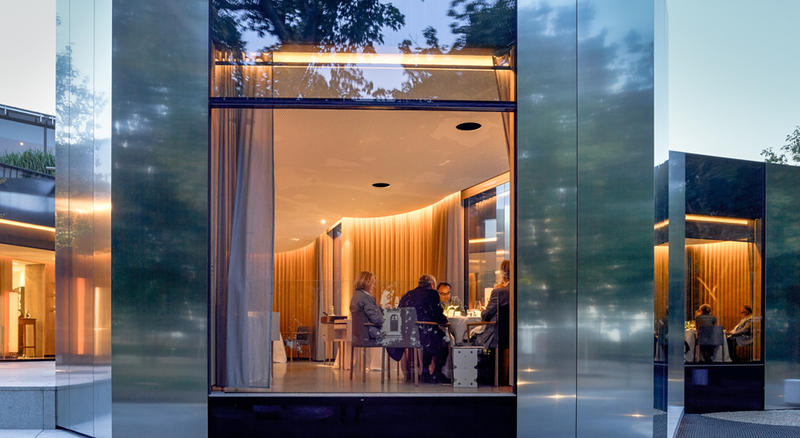 Our examples are sourced from the Orangery at the Schönbrunn Palace in Vienna. 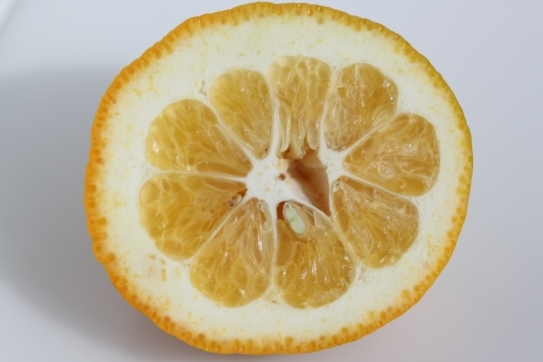 The grapefruit is a hybrid of the sweet orange and pomelo that is thought to have occured naturally in Barbados in the 18th Century and first bred commercialy in America in the late 19th Century. The flesh can range from ruby to a pale yellow with the skin also taking on a pinkish blush in the red varieties. The aroma is herbal and reminiscent of green bananas. 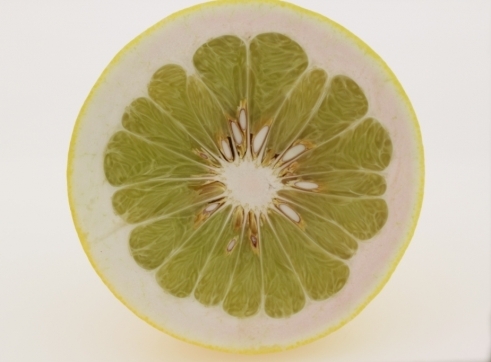 The flesh is similar in flavour to that of the pomelo, lightly bitter and sweet. The thick peel is hardly bitter with a lemon tone. Interestingly consuming grapefruits can interfere with the functions of many medicines, either acting as a catalyst or an inhibitor. 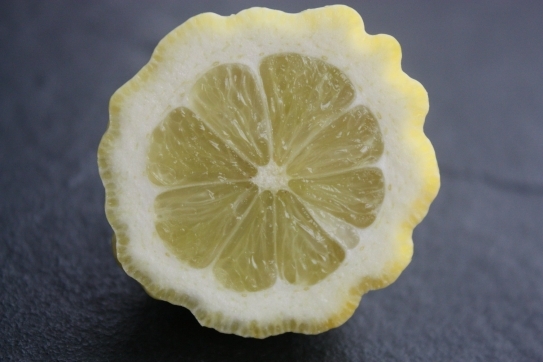 The Sweet Lemon has a pale yellow skin and green tinted flesh that is uncharacteristically sweet, hence its name. In Iran it is favoured as a remedy for colds. 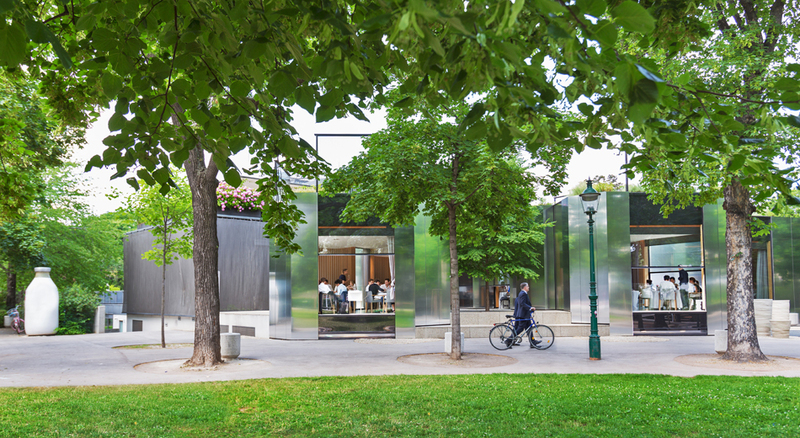 Our examples are sourced from the Orangery at the Schönbrunn Palace in Vienna. 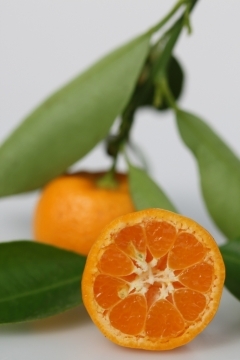 The Tarocco orange is known as a 'half-blood' orange because of its less intense red colouring. It has a faintly spicy, bitter aroma and a pleasantly tart flavour. The red tint to the skin and flesh is dependant upon the climate: The larger the variation between day and night time temperatures the redder the fruit. From the orangery at Schönbrunn. 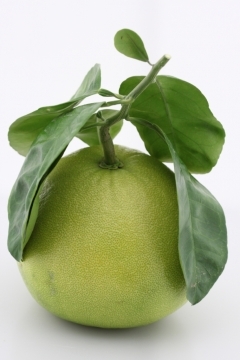 A member of the citron family the Diamante receives its name from the city in Calbria where it is most commonly grown. The fruit has an elongated oval form and reach up to 2 kilograms in weight. They have very little, dry flesh but are prized for their thick, compact and sweet peel which is offen candied. From the orangery at Palais Schönbrunn. 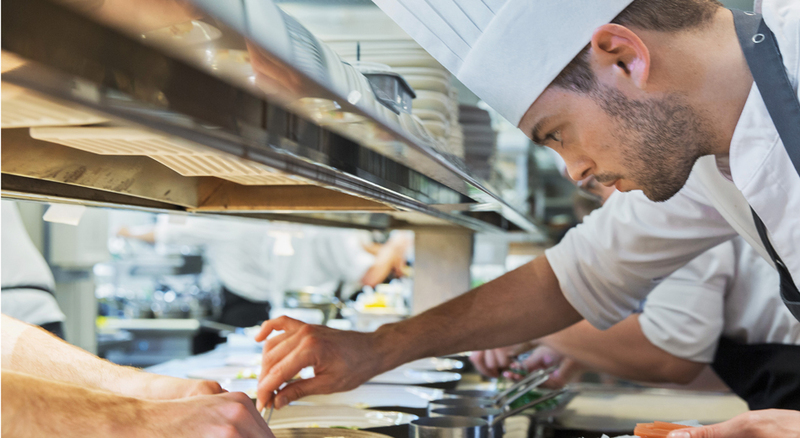 Unfarmed freshwater fish guarantees a very special taste experience. 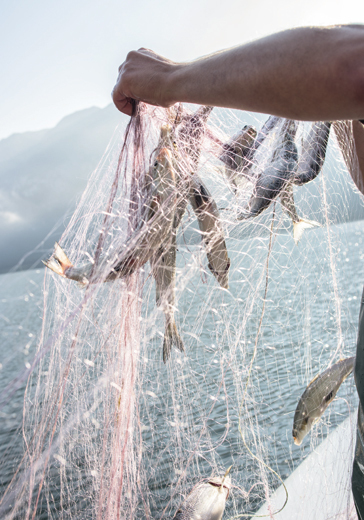 Österreichische Bundesforste manages Austrian agriculture and forestry, including sustainable fishing at the lake Hallstatt lake in the Salzkammergut.